The Yacht Club maintains two pontoons (not walk ashore) which are anchored just a few metres from the Club Steps. These can accommodate up to 4 vessels, each up to 40ft (12m). Smaller craft may raft up to a maximum of 3 boats. Current charges are displayed on the pontoons. 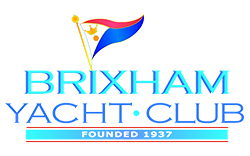 The pontoons are for the use of visitors and members while using the club facilities and should not be considered as alternatives to visitor facilities provided by Brixham Harbour and the MDL Marina. Pontoons cannot be reserved, and must be used on a first-come, first-served basis. Pontoons are not available during Championships. Berthing is also available on the end of the Fish Dock wall nearest the Club at the same price, but care must be exercised at low tide in the corner. If in doubt, please ring ahead. BYC Members: £10 per boat per 24 hours or part thereof. Fees are payable in the Club Bar. There is no free berthing at these pontoons except for member vessels which are being used to support specific events.